Dear friends! While p2pb2b holds Bitcoin Forks Battle we are glad to announce the start of the competition “The Best Crypto Meme 2018”! The author of the most outstanding work will get $100 as a reward. 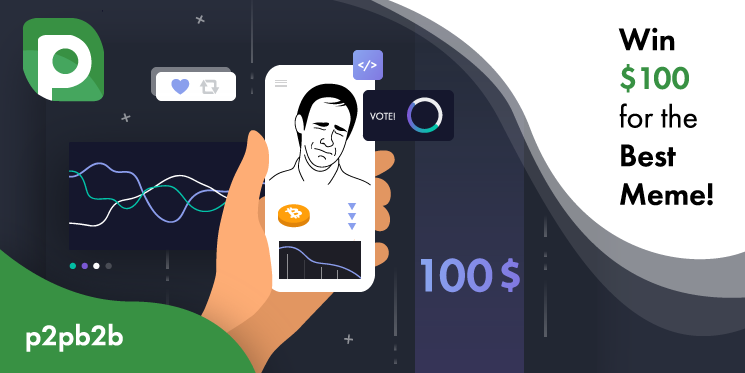 The main rule: the meme should be connected to cryptocurrencies, the blockchain, exchanges or any other relevant topic. Send your works to p2pb2b Telegram-chat. Our administrators will gather all memes and publish the finest ones in our social networks. The author of the best work, chosen by our administrators, will get $100. Any channel subscriber can participate. The competition will last until October 15. Don’t miss the chance to win the prize and become the crypto meme master of 2018!